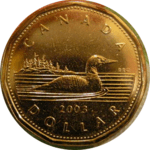 Today, around 12:30 pm EDT, the Canadian loonie was worth more than the US greenback for the first time in 31 years (CBC story). By contrast, the Canadian dollar hit a low of somewhere around US $0.63 in the late 1990s. I’d like to gloat and do the “Oh Canada” thing, but a weak U.S. dollar is bad news for a lot of us in Canada — effectively, the value of many of my investments (the U.S. stocks), of our little family airplane, and (most importantly) of my consulting fees have all declined by almost 40% this decade vs. what they’d be if the greenback had held its value. Almost every tech company depends on the US market, and they’re all going to take yet more price hits. I’m not sure that most Americans understand how bad things are. A significant part of the apparent gains in the U.S. stockmarkets since the dot.com crash are actually just adjustments for the falling U.S. dollar — look at the US stockmarket recalibrated Euros or sterling, and it’s probably not doing very impressively. Americans’ houses, cars, savings, and salaries are all worth a lot less than they think: if you’re making US $100K today, that’s the equivalent of around $65K in the late 1990s against the looney (worse against the Euro or Sterling, I think), and that’s before considering inflation. Ouch! Another reason not to gloat is that — while Canadian governments do some things better than the U.S. (like balanced budgets) — much of our current economic strength comes from the resource sector, where oil and metal prices (among others) are sky high. The resource sector is cyclical, though, and it won’t protect us from the problems in the U.S. forever. “Strong” and “weak” are really sucky terms: everyone thinks they want a “strong” currency and not a “weak” one, but that often turns out not to be the case. The weak U.S. dollar is probably worse for foreign investors than for locals, because most trade is still domestic, and it all moves together. John: I’d take it a little differently. Ideally, a currency should be in sync with the underlying economy: if it’s too high you’ll have trouble exporting and will have more labour trouble (it’s harder to cut nominal pay than to raise it), and if it’s too low, you’ll pay too much for imports (and the U.S. is a net importer, don’t forget) — the rising cost of oil is a good example, where the tumbling U.S. dollar makes things look even worse than they are. If the U.S. dollar is more-or-less in sync with its economy right now — which is what I think you’re suggesting — then the low U.S. dollar isn’t a problem in itself, but it is a symptom of something more serious, perhaps the country’s very high public- and private-sector debt.